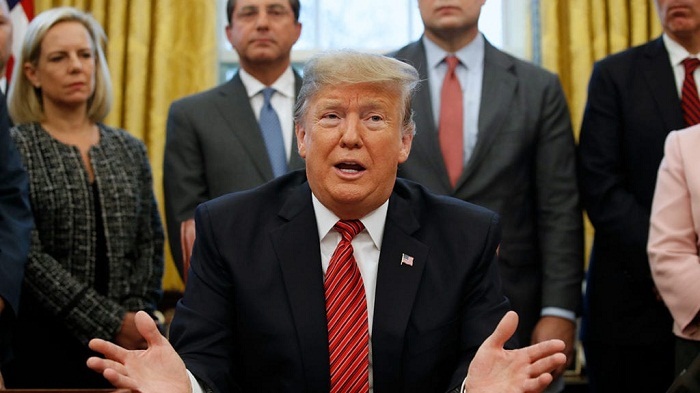 President Donald Trump has walked out of a meeting with Democratic leaders as negotiations broke down on the 19th day of a US government shutdown. The Republican president ended talks after Nancy Pelosi and Chuck Schumer stuck by their refusal to fund his planned US-Mexico border wall. Trump called his meeting with the pair "a total waste of time". Hundreds of thousands of federal employees who are working without pay will miss their pay cheque this week. Trump has threatened to declare a national emergency over the "crisis" at the border, bypassing congressional approval to build the wall. The standoff has resulted in a partial government shutdown since 22 December.